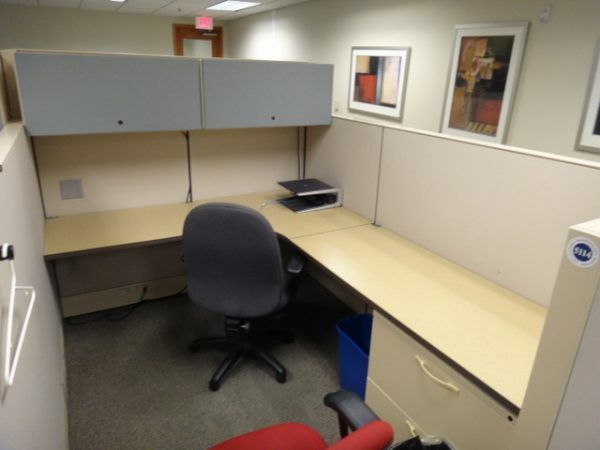 Herman Miller Q cubicles in great condition. 80 Stations available in high low configuration. Each cubicle comes with a 30″ two drawer lateral file or a 36″ two drawer lateral file and two large overhead storage units. The work surfaces are tan and the panel fabric is beige with tan trim. Please call for additional pictures and pricing. Currently priced based on pods of 6.